Frog taxonomy changes and therefore a discussion of the types of frogs in the United States will change over time. In formal terms, currently the types of frogs in the United States divides into ten families and over one hundred species. A quick glance down the list shows that many of the frog families have very few species. Three of the families, for example, the Burrowing Toads, Flesh-bellied Frogs and Neotropical Thin-toed Frogs are only found in South Texas or in the case of Barking Frogs, Texas, New Mexico and Arizona. Given the list, it’s still fairly safe to say in an informal manner that the types of frogs in the United States divide into three major groups, true frogs, tree frogs and toads. The American Bullfrog pictured at the top of the page is no doubt the picture of American true fogs. It’s the biggest frog in the United States (growing up to nine inches). Counting the bullfrog, about thirty true frog species have been documents in the United States. They make their homes in ponds, streams and other slow moving water bodies. Red-legged frogs, in the picture, provide a good example of an east-west frog division. Two species live in slow moving water areas of the west. Once abundant throughout the state, the California Red-legged frog population decreased over 90% and was listed as an endangered species list in 1996. The remaining population now survives primarily along California’s coastal areas, where they still compete for territory with California’s coastal loving human population. Northern Red-legged frogs (Rana aurora) inhabit coastal and inland areas of the Pacific Northwest from northern California to British Columbia. They prefer slow moving or still, shallow water habitats for breeding. During non-breeding season their range extends to many of the nearby forest floors. Most of the true frogs live in the Eastern United States, especially in the Southeast. Please press the green Frogs button for more frog pictures and information on the topic. Three types of frogs in the tree frog category are also present in the United States. Most of the species are either true tree frogs or chorus frogs. Pressing the Treefrogs button with lead to more treefrog pictures and information covering the species in those groups. Three species of cricket frogs also are documented in the United States. They are fairly common East of the Rocky Mountains and are best identified by the more warty skin. The picture shows a Northern Cricket Frog. 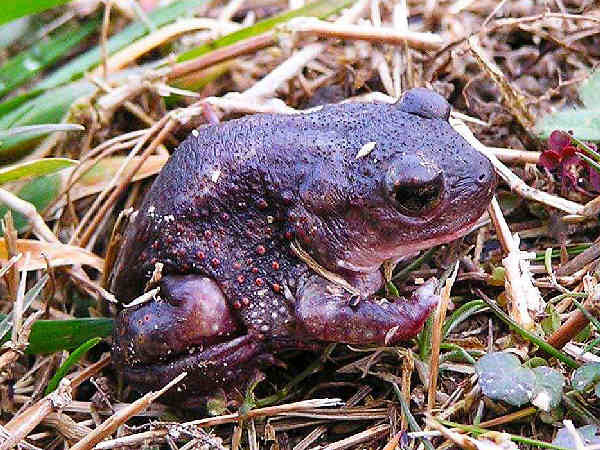 Narrow-mouthed Toads, Spadefoots and True Toads constitute to native toad group. As the chart at the top of the page shows, most of the toads belong to the true toad category. All toads are frogs. Compare the less warty body of the Eastern Spadefoot Toads (Scaphiopus holbrookii). It’s the only spadefoot species that lives east of the Mississippi river, and it follows the general identification rule of thumb for spadefoot toads having relatively smoother skin. 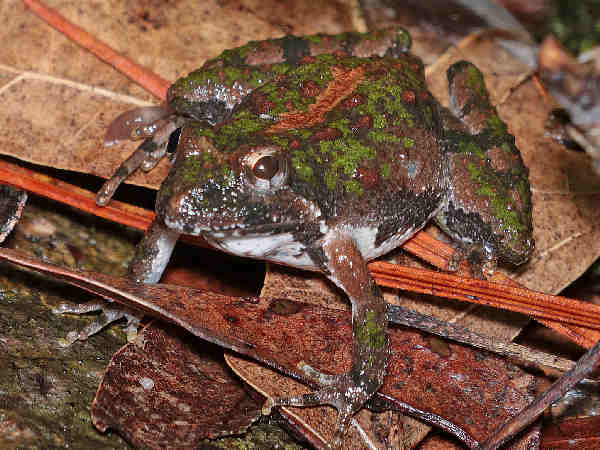 Around the world disease and a changing climate also create stresses on frog populations. The Global Amphibian Assessment (GAA), an ongoing research project sponsored by the International Union for Conservation of Nature (IUCN) and Conservation International (CI), shows population declines in many of the world’s amphibian species. 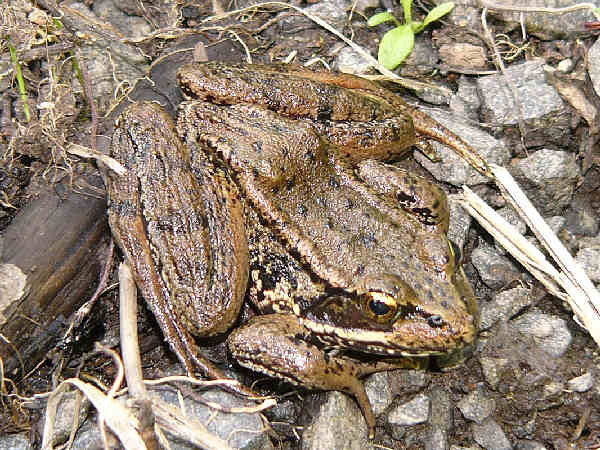 In a first of its kind report published in June 2007, the GAA listed a total of 5,918 amphibian species in the world. Frogs and toads lead the list with 88% or 5,211 different species. Of those, 1,590 or 30.5% were listed as either vulnerable, endangered or critically endangered. Various reasons are given for population declines, with habitat loss cited as the primary causal factor. Amphibian population levels are exacerbated by two inter-related geographical factors. First amphibians are tied to both a specific geographical location and a specific habitat. Close to 90% of the world’s amphibians live in a forest habitat. Global deforestation trends in the past couple of decades has contributed to declining amphibian populations. Currently thirteen native frog and toad species are listed as either endangered or threatened under the terms of the Endangered Species Act. They fit into all types of frogs that are presented here. Habitat encroachment accounts for most of the stress on native frog populations. The introduction of non-native species accounts for other stresses. 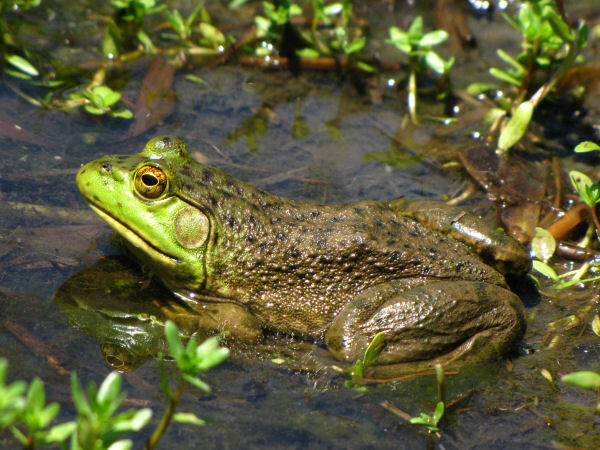 The bullfrog, for example, a nonnative, aggressive species, was introduced into many ponds and lakes, where its subsequently chased off the native species.